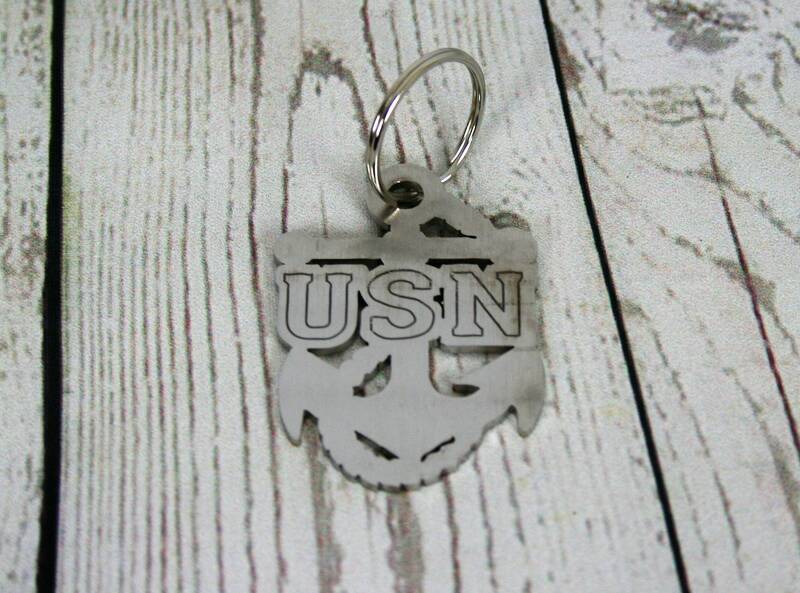 US Navy Anchor stainless steel key chain is ready to ship! 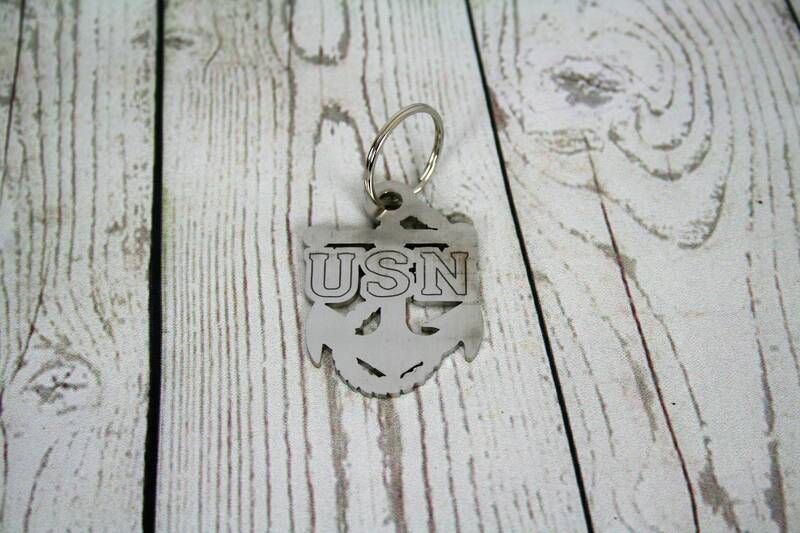 Anchor is 2.25" tall not including key ring. 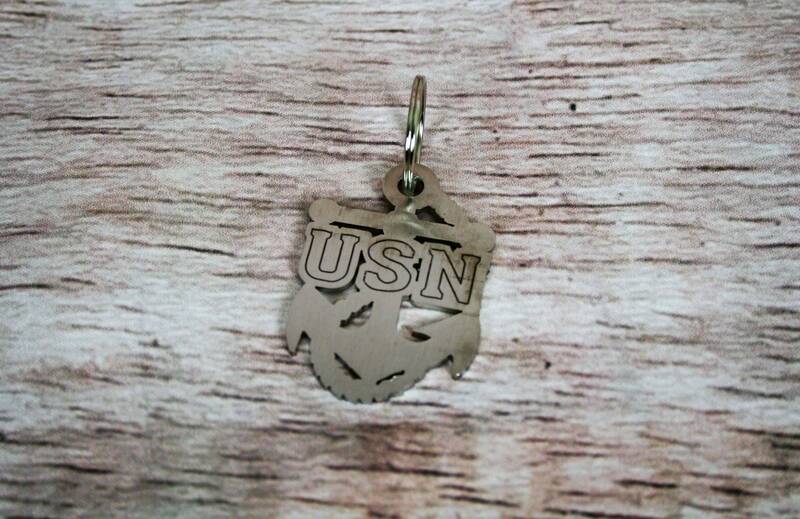 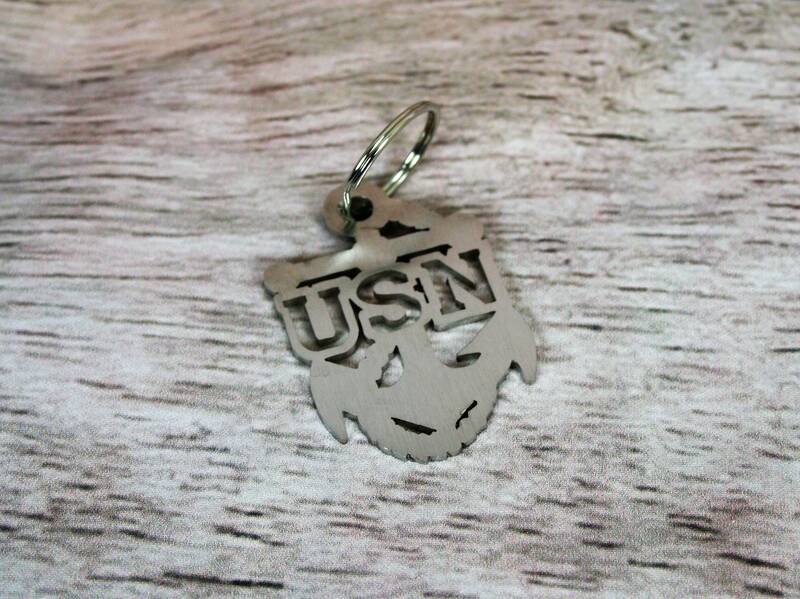 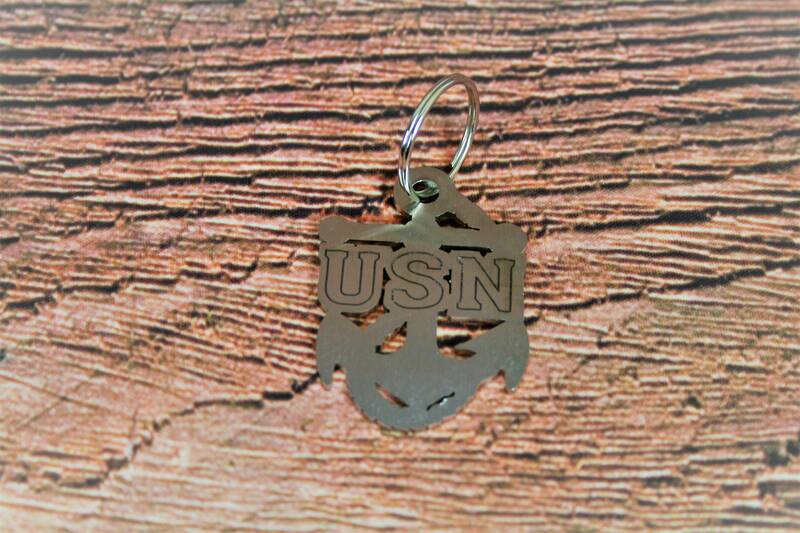 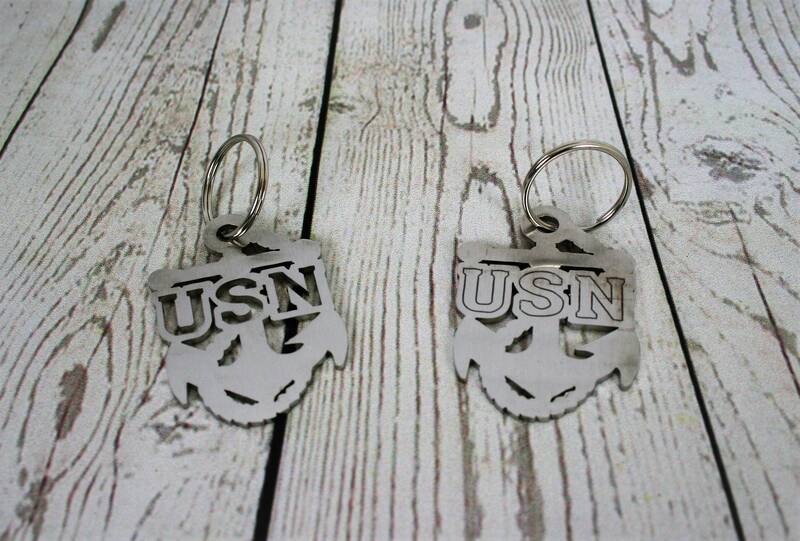 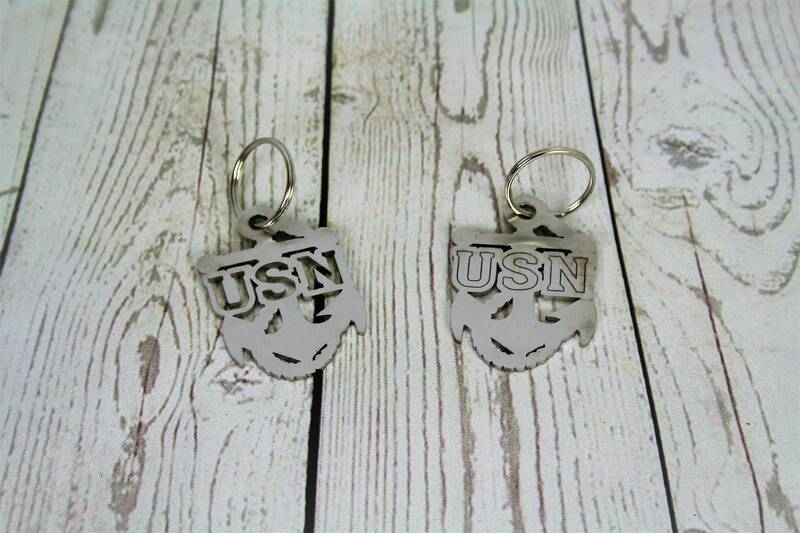 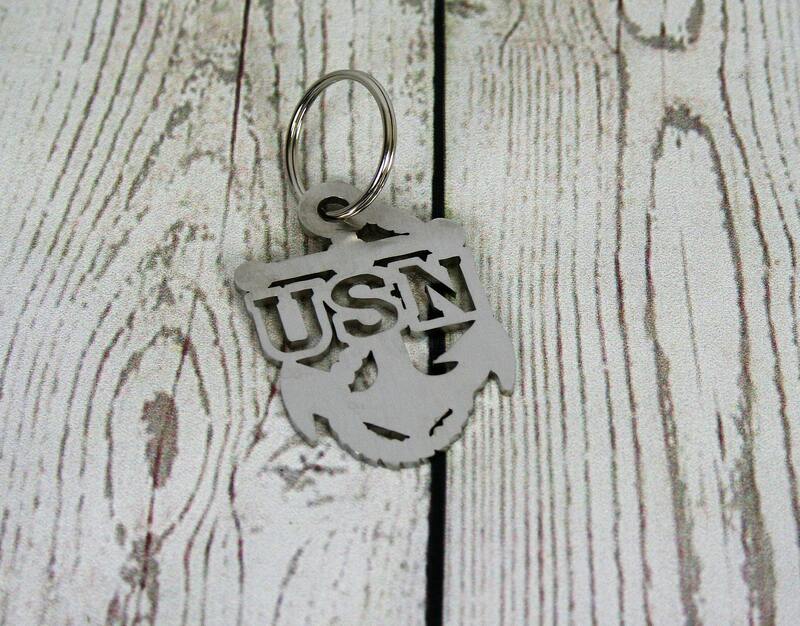 Choose if you would like letters USN cut through or engraved on your key chain. 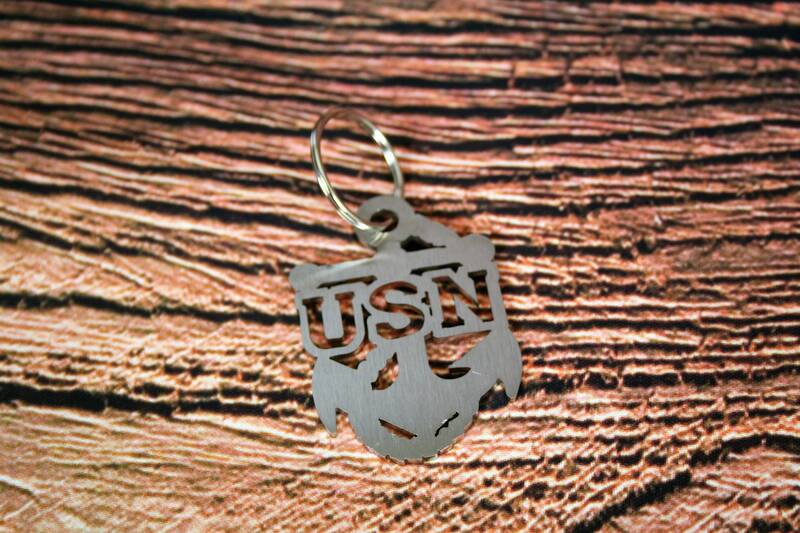 Please check out our US Navy Metal Art for larger, custom pieces. 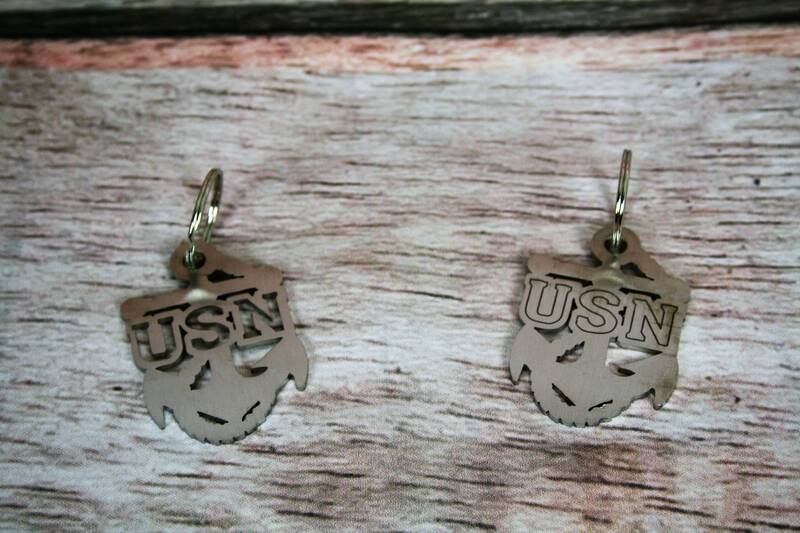 ETC Wiese is a member of the US Navy Reserves.